The best expression of multi way speakers. Fashion design, solid, very solid and incredible huge sound. The acoustic diffusers are the makers of the interface between hifi set and man: while designing the acoustic diffusers the DoAcoustics staff has operated using all the necessary responsibility. 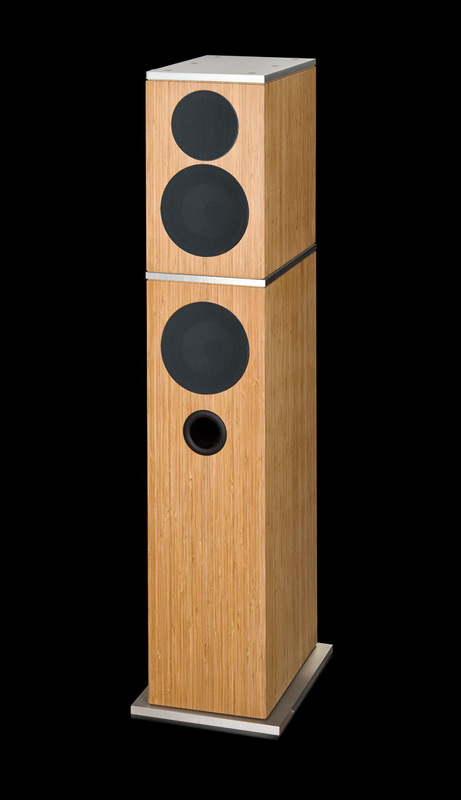 In the reproduction of sound, the true enchantment, above all, is given back by the quality of the acoustic diffuser. We have always worked thinking that simplicity would have led us to reach the best result.The search went on with an accurate choice of the stuff, following the continual experimentations and listening trials: aluminum and wood, a pair of elements always combining elegance and sound qualities of high glamour. Aluminum, besides rendering the sound diffuser extremely hard, gives heat to the sound. Here, the experimentation and the listening have guided the project beyond the common thought that considers the metals only cold materials.Each proof has revealed that, in the medium-bass frequencies, the response of this material, used in the right proportion, has given an extraordinary roundness to the sound. Wood, and in particular bamboo, has given the final amelioration to the sonorous shell: a soft and elastic wood but, just for that, endowed of an extraordinary endurance. Bamboo is used for its particular gifts in architecture and design and perfectly suits to the soft but firm diffusion of the sound that the DoAcoustics project proposes.